Congress created the Federal Reserve System in 1913 to tame the business cycle once and for all. Optimists believed central banking would moderate booms, soften busts, and place the economy on a steady trajectory of economic growth. A century later, in the wake of the worst recession in fifty years, Editor David Beckworth and his line-up of noted economists chronicle the critical role the Federal Reserve played in creating a vast speculative bubble in housing during the 2000s and plunging the world economy into a Great Recession. As commentators weigh the culpability of Wall Streets banks against Washingtons regulators, the authors return our attention to the unique position of the Federal Reserve in recent economic history. Expansionary monetary policy formed the basis of the soaring housing prices, excessive leverage, and mispricing of risk that characterized the Great Boom and the conditions for recession. Yet as Boom and Bust Banking also explains, the Great Recession was not an inevitable result of the Great Boom. Contrary to the conventional wisdom, the Federal Reserve in fact tightened rather than loosened the money supply in the early days of the recession. Addressing a lack of critical studies of recent Federal Reserve policy, Boom and Bust Banking reveals the Federal Reserves hand in the economys deterioration from slowdown to global recession. At the close of the most destructive economic episode in a half-century, Boom and Bust Banking reconsiders the justifications for central banking and reflects on possibilities for reform. With the future ripe for new thinking, this volume is essential for policy makers and concerned citizens who wish to learn from recent history. Should Monetary Policy Lean or Clean? Former Federal Reserve Chairman William McChesney Martin once quipped that it was the central banks job to take away the punch bowl just as the party was getting warmed up. From 2002 to 2004, while an economic recovery was underway, the Federal Reserve ignored Chairman Martins advice: it spiked the punch bowl and then kicked the hungover economy out to the street at the worst possible time. Monetary policy throughout the 2000s made the business cycle worse. The Great Boom and the Great Recession of the 2000s could not have occurred without the destabilizing policies of the Federal Reserve. The story of the Great Recession of the 2000s begins with unsustainable economic growth that followed the 2001 recession. 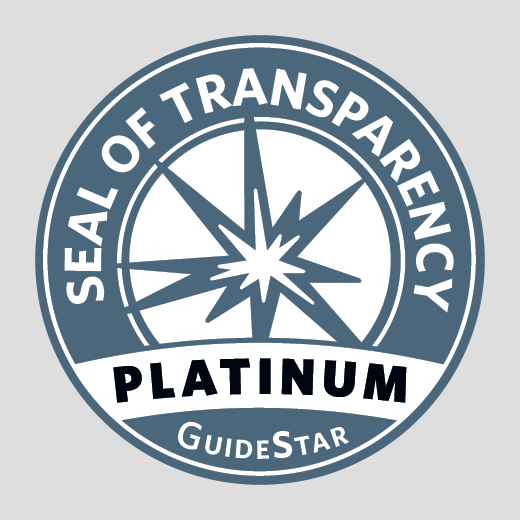 This expansion grew and pulled in many different parties, including builders, subprime borrowers, mortgage originators, investment bankers, rating agencies, and investors from around the world. It also elevated the importance of structured finance and the shadow banking system. The pace of the expansion accelerated and soon it became the Great Boom of the 2000s. When the economy began to contract in 2008, the Federal Reserve again followed the wrong monetary policy. By effectively tightening monetary policy, it leaned with the wind instead of against it. This response turned what was initially a mild recession into the Great Recession. Instead of dealing with the rapid increase in money demand, it focused on becoming lender of last resort on a scale so vast that it effectively turned the central bank into a central planner of credit. If the Federal Reserve is to avoid repeating its mistakes, it must adopt a new approach to monetary policy. The starting point for a better monetary policy is a rule that would require the Fed to stabilize nominal spending. This rule would be relatively simple to follow because it requires that policymakers know only the current value of the economy. (In contrast, the Taylor Rule requires them to know factors that are much harder to measure, especially in real time, such as the appropriate inflation rate, the output gap, and the neutral federal funds rate.) Had the Federal Reserve been targeting nominal income, the Great Boom and the Great Recession of the 2000s may have never happened. Stabilizing nominal spending might be not sufficientor even possiblegiven our current institutional arrangements for monetary policy. For example, as long as banks and other financial intermediaries have the expectation that gains will be privatized and losses socialized, they will continue to misuse creditors funds. Some contributors to Boom and Bust Banking therefore call for the adoption of alternative monetary institutional arrangements, such as scrapping central banking and allowing free banking. The major advantage of a free-banking system is that it has a built-in automatic mechanism that serves to maintain macroeconomic stability, whereas central banking lacks such a mechanism. Other contributing factors to the business cycle of the 2000sincluding financial innovation, a global saving glut, poor governance, industry structure, housing policy, and misaligned creditor incentiveswere at most of second-order importance. Yes, these developments all came together to form a perfect global financial storm. But a global financial storm needs a global economic force strong enough to catalyze it. Boom and Bust Banking establishes that the Federal Reserve was this force. The twenty-first century opened with optimism, as first technology and then housing boomed, but by the end of the decade confidence had been drained. In the United States, the epicenter of the Great Recession, output fell, unemployment skyrocketed, and budget deficits exploded. Why, after several decades of economic stability, did the boom-and-bust cycle return with such force? Most studies that attempt to answer this question neglect perhaps the single most powerful actor in the world economy today: the Federal Reserve. 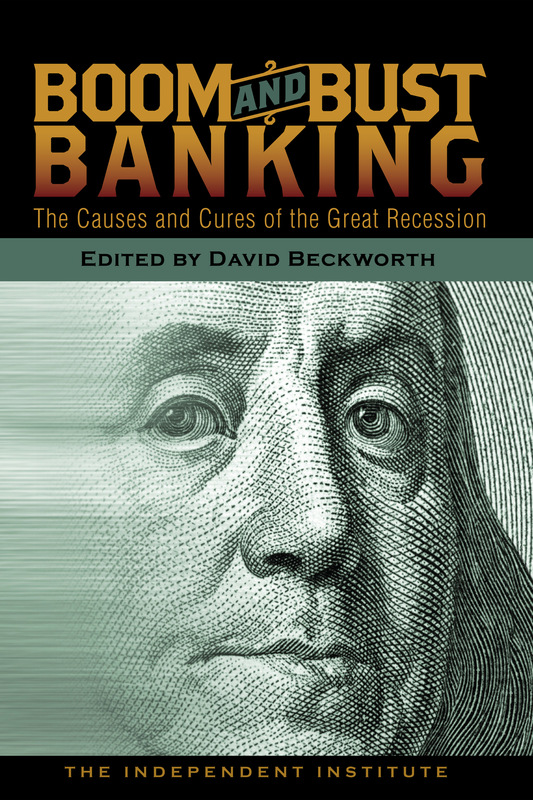 Boom and Bust Banking, edited by David Beckworth, remedies this deficiency by shifting the focus back to the U.S. central bank and showing the leading role it played in creating the Great Boom and the Great Recession of the 2000s. Aimed at professional economists and readers well versed in the basic workings of the economy, Boom and Bust Banking offers cutting-edge diagnoses and prescriptions from some of the leading lights of the economics profession. Parts I and II show how Federal Reserve monetary policy caused the boom and bust of the 2000s. Part III offers innovative proposals to avoid future cycles of boom and bust. Lawrence H. White begins with an overview of U.S. monetary policy during the early-to-mid 2000s and shows how it contributed to the housing boom. The Federal Reserve not only kept its target federal-funds rate extremely low over this period, but it kept the rate low relative to the Taylor Rule and to a measure of the neutral federal-funds rate. Federal Reserve policy both sparked the housing boom and influenced the types of mortgages originated. The misaligned incentives in the financial system amplified the effects of monetary easing. But why did the Federal Reserve keep monetary conditions so easy for so long? It did so because it failed to properly deal with the productivity boom that was happening, according to David Beckworth. The rapid increase of total factor productivity from 2002 to 2004 put downward pressure on the price level, expanded the capacity of the economy, and put upward pressure on the neutral federal-funds rate. The Federal Reserve recognized that productivity was increasing rapidly, but it feared that raising the federal-funds rate would jeopardize economic growth. By maintaining a loose monetary policy it helped turn a beneficial productivity boom into an unsustainable housing boom. The Federal Reserve also contributed to other problems in the financial system. The low interest-rate policy, coupled with the expectation that it would persist, signaled a new game to investors: one could now borrow at predictably low, short-term interest rates and invest in higher-yielding long-term assets. As Diego Espinosa shows, the financial system responded to investors demands by securitizing more mortgages, including subprime ones, through the process of structured finance. The surge in subprime lending and the growth of a shadow banking system were therefore tied to the Federal Reserves accommodative monetary policy. While the U.S. housing boom was underway, other countries were also experiencing a housing boom. Some economists have taken this to mean that the low interest rates were caused by something other than loose monetary policya global savings glut, perhaps. A more likely explanation for the international housing boom, David Beckworth and Christopher Crowe argue, is that the Federal Reserve is a monetary superpower with global influence. U.S. monetary policy can therefore explain the rise in global liquidity, the drop in global interest rates, and the buildup of foreign reserves during the early-to-mid 2000s. Some of the so-called saving glut is nothing more than U.S. monetary policy being recycled back into the U.S. economy. Why did the recession that started in December 2007 turn so virulent by the end of 2008? One reason is that most macroeconomists failed to see what was really happening to the economy. Most thought that the severe financial crisis in late 2008 made the recession worse, that monetary policy had been very accommodative, and that the zero-interest-rate bound was preventing the Federal Reserve from providing any more monetary stimulus. Scott Sumner shows that this viewpoint was wrong. Monetary policy tightened throughout much of 2008, and this was the main culprit behind the eruption of the financial crisis and worsening of the recession in late 2008. Had the monetary authorities understood that they were tightening, and that monetary policy was not limited by the zero bound, they could have prevented the Great Recession, Sumner concludes. Jeffrey Rogers Hummel reaches a similar conclusion about the origins of the Great Recession in his comparison of Ben Bernanke and Milton Friedman. For Bernanke, financial crises result from aggregate supply problems and are best dealt with by having the Federal Reserve act as a lender of last resort. Consequently, from August 2007 to August 2008 the Federal Reserve created numerous liquidity facilities to prop up the financial system, but it allowed monetary policy to tighten during much of 2008. Milton Friedman, in contrast, viewed financial crises as the result of monetary policy failing to respond to aggregate demand shocks. He probably would have been aghast to see the Fed ignore the sharp decline in velocity in 2007 and 2008. To thoroughly understand what happened during the Great Recession, one must first understand monetary disequilibrium, W. William Woolsey shows. Since money lacks its own market but is traded on all other markets, any shock to the supply or demand of money will disrupt the entire economy. The Feds failure to attend to the severe excess demand for money that developed in 2008 therefore helped transform an economic downturn into the Great Recession. The excess money-demand problem also helps explain the liquidity trap, the paradox of thrift, and the so-called balance-sheet recession. In 2008, the excess money-demand problem went global, as Nicholas Rowe explains. Because the U.S. dollar is the worlds most liquid currency, only one central bank, the Federal Reserve, was capable of responding to the spike in the global demand for liquidity. The Fed was able to supply enough dollars through currency swaps to other major banks, but not before economic conditions deteriorated. Although the Great Recession is over, Rowe notes that the global demand for dollars is still strong in Asia and elsewhere. The Fed must therefore continue to provide these dollars or face an excess dollar demand that could drive the U.S. economy into recession. What can be done to avoid the boom-bust cycle in the future? Joshua R. Hendrickson makes the case for a strict rules-based approach to monetary policy as a way to reduce macroeconomic volatility. He especially calls for a nominal-income targeting rule. The great virtue of this approach, he explains, is that it would force the Federal Reserve to systematically respond to aggregate demand shocks while ignoring aggregate supply shocks. This would focus the Feds attention on stabilizing total current-dollar spending, while allowing it to ignore changes in the price level driven by aggregate supply. Also, a nominal-income targeting rule is much easier to follow than the Taylor Rule. William R. White wonders whether nominal-income targeting could cause the Federal Reserve to ignore other risks. Credit bubbles could still emerge, for example, and when they burst, the central bank would need to clean up afterward to keep aggregate demand stable. White worries that this could create additional problems, as when the Feds attempt to clean up after the stock-market decline of the early 2000s fueled the housing boom. He therefore calls for the monetary authorities to guard against not only business cycles, but also against credit cycles. Laurence J. Kotlikoff is even more skeptical of the notion that the Federal Reserve can maintain macroeconomic stability under current institutional arrangements. Our financial system is rigged for failure, he argues, because it is very easy for financial institutions to gamble with other peoples money. Kotlikoff recommends that the entire financial system be reformed along the lines of limited-purpose banking. Financial intermediaries would be designated as one of two kinds of mutual funds: one that provides investment opportunities, or one that provides checking accounts and is 100-percent backed by highly liquid assets. This means the Federal Reserve would gain complete control over the money supply and in principle be able to better stabilize aggregate demand. Could any of these reforms reliably maintain macroeconomic stability as long there is a U.S. central bank? George Selgin shows that central banks in general are inherently destabilizing by comparing them to how monetary conditions would evolve in their absence. Without central banking, private banks would issue banknotes that are fractionally backed by some kind of reserve, and those banknotes would circulate much like checks do today. They would be cleared as banks return their competitors banknotes directly to them for redemption or through a central clearinghouse; any net dues owed by one bank to another would be settled by transferring reserves. This mechanism, Selgin shows, would prevent private banks from issuing too many banknotes relative to the demand for money. If money demand suddenly changed, then banks would know from the level of interbank clearings whether to increase or decrease their supply of banknotes. In the aggregate, this would stabilize the level of total current-dollar spending. Thus, free banking with competitive note issue would promote macroeconomic stability almost automatically, via market discipline and market information received by individual banks on a daily basis. In contrast, central banks lack the discipline and knowledge created by such interbank clearings. Without that knowledge the Federal Reserve will never know enough to truly and reliably stabilize aggregate demand. "Boom and Bust Banking is another pathbreaking work from the Independent Institute."